1989 – Mactac is the first pressure-sensitive supplier to offer recycled facestocks as part of the STARLINER® product line. 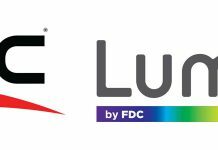 2006 – Mactac introduces Uglu®, a liquid adhesive with the convenience of tape (has been featured on QVC and is carried by Walgreens). 2007 – Mactac partners with Portraits of Hope for the Gardens in Transit project wrapping thousands of New York City taxi cabs in Mactac’s IMAGin® B-free product. 2008 – Mactac launches InFusion™ Hybrid Adhesive Systems for the label converting industry. 2008 – Mactac creates medical grade Silk™ Soft Touch adhesive for short-term or sensitive skin application. 2013 – The industry experienced unrelenting clarity and ultimate adhesive with Mactac’s PUREtac™ line. 2013 – Mactac launches Mactac wallCHALKER, an innovative removable chalkboard vinyl. 2014 – Mactac’s IMAGin® DecoFresco™ and DecoMural™ changes the industry by introducing adhesive-backed wallpaper textured vinyl. 2014 – METRO® Digital provides the industry with a cost competitive PSA sheets that doesn’t sacrifice on performance or quality. 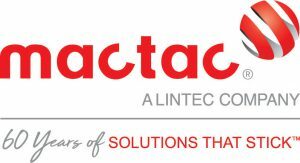 2016 – Mactac becomes part of the LINTEC Corporation. 2017 – Mactac launches the revolutionary CHILL AT™ all-temperature hot-melt adhesive line for food packaging.